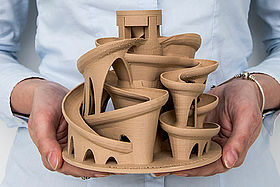 The processes of additive manufacturing give way to options of functional integration, individualisation and attainable component complexity that are entirely new. The basic challenges are reproducibility, process reliability as well as achievable component properties, as a result of the construction in layers. IKV investigations focus on analysing, in terms of material and process technology, the inter-relations that exist while applying a plasticising additive manufacturing process. Our comprehensive knowledge on plastics technology helps us characterize the impact material parameters, production parameters as well as component design have on the characteristics of the product and process. One of the major tools to achieve this is physically motivated modelling of the cooling and solidification behaviour of the thermoplastic material while processed by additive manufacturing. Our research is aimed at attaining knowledge and methods to help the user benefit from the complete potential of additive processes during component design, choose the right materials to fit the respective purpose as well as optimize processes. 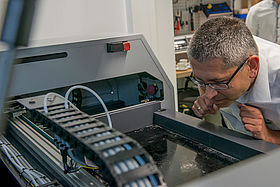 There a two ways of using additive manufacturing to process plastics materials: In addition to processing plastics in an additive process, additively produced elements can serve as tools in a plastics processing procedure. These tools may themselves be made of plastics or metal. Be part of a study in which we identify challenges and opportunities in product development looking at part design, material characterization, data processing, modelling and simulation. IKV offers its students a course on "Additive manufacturing in plastics processing", enabling them to recognise and exploit specific features of the various technologies. 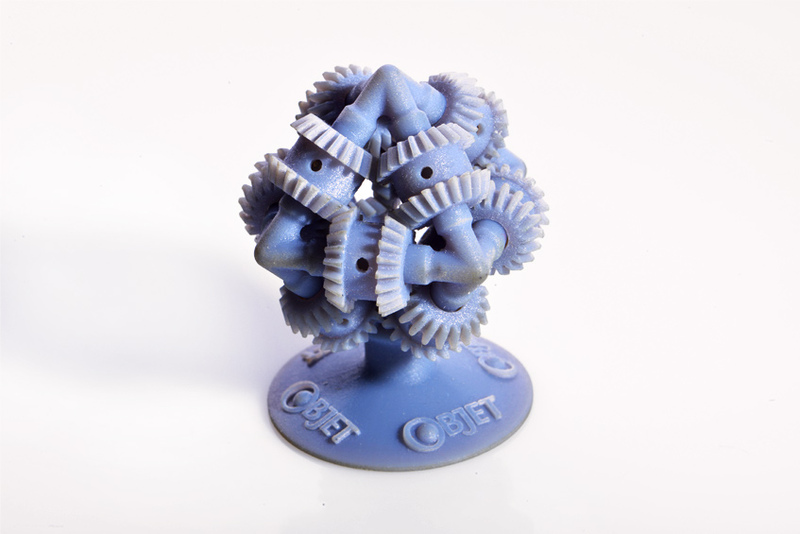 The principle underlying additive manufacturing offers a large freedom of design in producing plastics parts. IKV investigations are mainly aimed to characterise melt-based additive processes in terms of material and process technology. IKV scientists investigate and classify established processes such as fused deposition modelling (FDM). In addition to this, they develop new plants, thus enhancing their own competences and eliminating current restrictions to production. 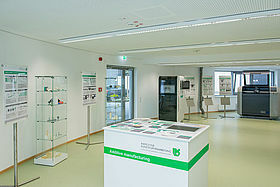 This comprises, for example, integration of additive and subtractive manufacturing in a hybrid production concept, or connecting additive to conventional processes such as injection moulding or welding techniques. At K 2016, IKV will be demonstrating a hybrid manufacturing cell that automatically combines additive and subtractive production processes. This combination is designed to automatically rectify the mediocre dimensional stability and surface finish of additive manufactured parts. 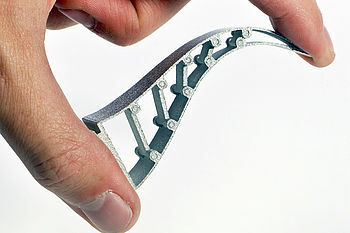 Using this production technology, functionally integrated parts can be manufactured with a batch size of one. Only when the different manufacturing processes are deployed in line with the requirements, will it be possible to achieve the aim of customer-oriented and automated production of functionally integrated plastic parts. The combination of additive manufactured, thermoplastic structural parts with fibre reinforced TPC organic sheet in an integrative production chain allows the individualised production of functionalised TP-FRP compounds for lightweight applications. The research project "CFRP Workshop – Interactive future repair workshop for electric vehicles in CFRP construction" is aiming to permit the production of individual, damage-tailored repair patches for FRP structural parts. 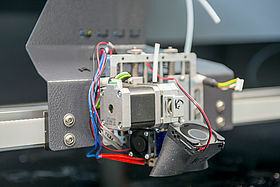 Individual preforms in long fibres are being produced in an additive manufacturing step, which can subsequently be further processed by the RTM process. Offering a large freedom of design and high level of functional integration, additive processes enable the user to produce complex inserts for extrusion dies or injection moulds, which would take conventional production processes to the limits. 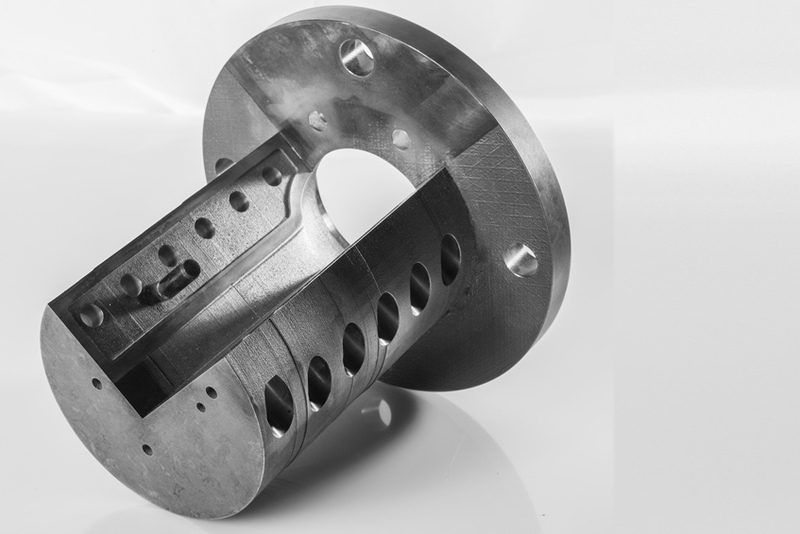 As one example, IKV is involved in research on additively produced profile extrusion dies featuring a runner design with optimized flow characteristics. Their geometries would have been impossible to produce by machining. Using injection moulds and compression moulds, we look into additively produced mould inserts with close contour heating-cooling channels, which will significantly improve component quality as well as efficiency of the process. With variothermal temperature control in the compression mould, the mechanical properties of compression moulded LFT parts can be increased and the necessary compression forces reduced. 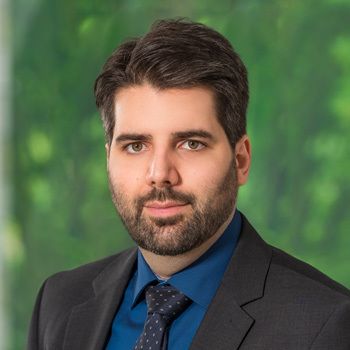 The extensive freedom in design offered by additive manufacturing processes makes it possible to produce mould inserts that are optimally tailored to variothermal heating and cooling. Numerical flow simulations are gaining increasing importance in the design of extrusion dies. One challenge, however, is the production of numerically optimised flow channels, which frequently display complex freeform geometries. In the framework of the excellence cluster, investigations are thus being conducted into the additive manufacturing of complex profile extrusion dies by selective laser melting. The dimensional stability of injection moulded parts is essentially determined by the homogeneity of the mould cooling. In the field of injection moulding, an algorithm is thus being developed for the automated design of conformal cooling. The cooling channel systems optimised in simulations are implemented in the actual injection mould by means of additive manufactured cavity inserts.